An oracle refers to the element that connects smart contracts with data from the outside world. Any data point outside the contracts’ blockchain is not accessible by design, so an oracle is needed to feed them information from external sources. For a blockchain oracle to be fully decentralized, its network of nodes must reach consensus on the state of the world for a given request, event or decision in a decentralized and trustless manner. What was the weather in Helsinki yesterday at 4 p.m.? Who won the World Cup semifinal? Did Donald Trump win the presidential election by a vote margin larger than 5%? Nodes in an oracle network must agree upon the answer to these kinds of questions. Therein lies the challenge. “Noon at (the information booth at) Grand Central Terminal”. Why would this happen in an experiment where anyone was able to choose any time of the day and any place in a city with as many possibilities as New York? There was no special price attached to that solution that made it more attractive than others. Yet something about it (its tradition as a meeting place, its relevance to the city) made it a natural focal point for a number of students. To understand how Schelling schemes provide a way for oracles to achieve consensus, we’re going to take a look at three different oracle formulations. In chronological order, Truthcoin , SchellingCoin and Witnet provide us with different approaches of mechanism designs for nodes of an oracle to agree upon a certain result, solution or answer. In Truthcoin people owning VoteCoins say which outcome they believe to be true, and the market closes based on the outcome achieving vote majority (>50%). The mathematical calculation of outcomes is worked out by performing singular value decomposition on the Vote Matrix, a matrix composed of the voters’ decisions on a series of outcomes. When voting, Sztorc points at two factors that influence human behaviour. The first is search costs, or how long it takes you to “google” the true outcome of a prediction market. The second one is salience. That’s where Schelling comes in. Salience is the psychological perception of uniqueness which Schelling pointed out when studying focal points. 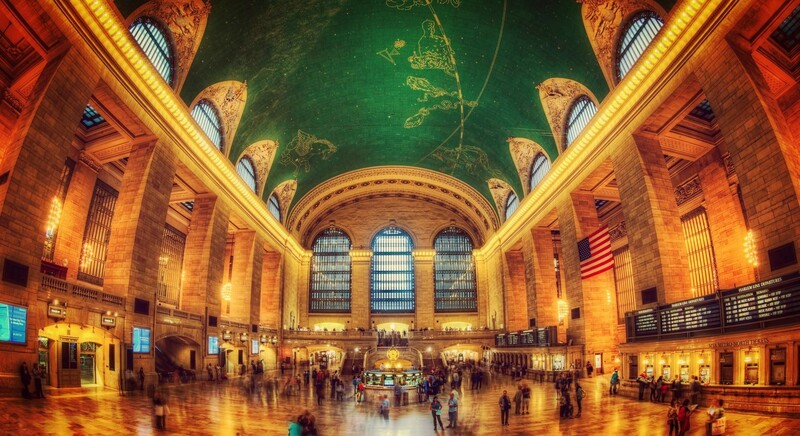 Grand Central Station proved to be a salient meeting place in his experiment. It’s an awareness of shared human psychology that Sztorc says “ minimizes shared mental costs ” and provides an incentive for people to not deviate from the profitable-truth-seeking majority. Effort-wise, the cheapest thing a voter can do is copy the ballot of true answers. Malicious actors will always try to coordinate in ways that are harmful for the network if they can get a profit from it. In order for the incentive scheme built into the network to be effective in spite of these attacks, malicious actors must not be able to communicate with each other in advance and conspire.. Truthcoin keeps votes anonymous and introduces the concept of the “ double-agent incentive”. The double-agent incentive explains that voters have an incentive to falsely claim that they intend to attack. A coalition of attackers will never be truly sure of how many voters they control, so any voter has an incentive to let minority groups lie (and make them think she will lie too) and earn a higher reward for telling the truth. Vitalik Buterin presents SchellingCoin as a “ decentralized data feed ” for smart contracts to access information from the outside world, presenting a simple example regarding the ETH/USD price. During an even-numbered block, all users can submit a hash of the ETH/USD price together with their Ethereum address. Sort the correctly submitted values (if many values are the same, have a secondary sort by H(N+PREVHASH+ADDR) where PREVHASH is the hash of the last block). Every user who submitted a correctly submitted value between the 25th and 75th percentile gains a reward of N tokens. Basically, in the example users provide their price for the given exchange, their claims are verified, and those whose answer falls between the 25th and 75th percentile are rewarded by the network. Buterin, like Sztorc, states that the truth is the most powerful Schelling point. That’s the reason the protocol incentivizes everyone to provide the same answer as the rest of participants in the network. But unlike Truthcoin, which defined final answers by simple majority, SchellingCoin applies statistical percentiles to leave out answers that deviate too much from the median. Now, voters have a clear incentive to vote 1 no matter what . Assuming voters are not altruists but financially motivated individuals, they will vote 1. Therefore, the attacker will get everyone to vote as wished without actually having to pay anything . The attack is free. This protocol is called Truth-By-Consensus. Truth-By-Consensus sets incentives for network participants to become witnesses — that is, to perform tasks honestly and maximize their revenue (short term profits) and reputation (long term profits). It is based on Singular Value Decomposition. “The purpose of SVD is to analyze a matrix containing all the claims brought during one epoch and reveal and sort its effects by influence, detecting and dropping outliers and collusion (coordination) in the process. Although an oracle of a different nature, many parts of Witnet’s concept derive from Truthcoin’s design. The double-agent incentive is also present in Witnet’s design, incentivizing witnesses to keep claims secret and even lie to a potential briber. As also seen before with Truthcoin, once >50% of the witnesses are honest, witnesses have an incentive to minimize the number of fellow honest voters and maximize rewards. Witnet intends to detect and penalize collusion by focusing on economic incentives within the protocol. The fact that witness nodes accumulate non-tradeable reputation acts a long term incentive to avoid lying. This way, they not only have the risk of losing short and mid term rewards but also of being deprived of the revenues involved in future tasks that are assigned based on reputation distribution. The introduction of reputation punishment changes the game’s payoffs for witnesses. To avoid harmful majority collusion, Witnet provides a mechanism where participants in the network “(1) have no way to identify each other, (2) have no way to communicate with each other and (3) can not prove the content of their claims to others before the reputation and reward redistribution is made”, as said in its whitepaper. This also fights possible P+epsilon attacks. The Witnet protocol doesn’t give participants a chance to reveal or prove the value of the claims they voted for. Participants could then accept the bribe, tell the truth to the network, and lie to the briber in order to claim both the reward and the bribe. Claim anonymity on every epoch provides another case of Sztorc’s double-agent incentive, leading the briber to most-likely waste their resources since witnesses will try to maximize revenue by voting the truth in order to get a reward while also telling the briber they lied in order to get the bribe. Schelling coordination schemes have been the subject of research since first introduced some decades ago, most generally validating the efficacy of focal points in coordination games. Let’s take a look at three different studies that introduce payoff asymmetry, payoff-irrelevant signals and changes in stake size to experiment how focal points can vary, and some ways these concepts are meaningful for decentralized oracle networks. Crawford et al. expose how under symmetric payoff conditions (subjects earned $100 when simply coordinating) 90% of the subjects coordinated on the focal point. The percentage would be significantly reduced if an asymmetric payoff was introduced (subjects would win $100 when coordinating on the focal point and >$100 when coordinating on the non-salient option). This study proves that some bribes could have an effect on oracle coordination, which means it’s useful to understand attacks regarding bribers or entities that want to have control over the vote outcome and will do so by introducing different payoffs to the network, as they can alter the conditions of the coordination game designed. The P+epsilon attack is an example of what this type of asymmetry could mean (voters’ Schelling point changes from the truth to the briber’s desired outcome). Isoni et al. point to the power payoff-irrelevant signals (that is, signals that don’t involve a higher financial reward for the players) can have in Schelling coordination games that model tacit bargaining — independent actors perceive a conflict and anticipate others’ behavior without communication. In their work, based on a game where players allocate an object to one place or another, the non-monetary properties that influence players’ decisions are closeness (distance) to an option, and accession (shared properties between items). We can relate this data to the double agent incentive we mentioned before. If all voters trying to be convinced to lie perceive, without communication, that the rest of voters will lie too, we need to provide an incentive for them not to if we want to ensure the efficiency of the network. Parravano et al. introduce stake size changes in order to experiment how these changes affect coordination on focal points. How does the size of the payoff vary players’ coordination rates? Interestingly, their data shows that in symmetric games, coordination on the salience increased with stake size. The bigger the payoff, the more players agreed to choose the focal point. By contrast, in asymmetric games (introduced above) coordination rates did not vary with stake size. Although players coordinated less on the salient label than in symmetric games, they were more consistent with their choice with little regards to the sizes of the payoffs. These results could lead us to believe that in asymmetric games (those where a briber tries to change the oracle’s vote, for example) the size of a bribe will have little effect on how much coordination changes due to the bribe itself. Experiments can always vary given conditions, so we’ll have to see how players act once oracles are fully deployed. We started by challenging ourselves to think if Schelling coordination schemes were the right approach to seek consensus in decentralized oracle networks. Throughout the examples, we have seen that Schelling points provide a strong, low-effort, high-reward incentive for voters to agree upon a given solution. It’s important to consider that concepts like focal points, introduced well before computers gained mass adoption, are now a key foundation for the design and implementation of crypto-economic networks like oracles. These networks must be built to survive in hostile environments. As we have seen, attacks can bring high reward if not addressed with the right incentive mechanisms. Schelling coordination schemes provide the basic layer for seeking truth between unknown trustless parties. We will continue to research and develop around how to strengthen this approach with properties like voter and claim anonymity on every epoch in order to avoid collision attacks that could end up being very harmful for a given oracle network. Why do we need a Decentralized Oracle Network?